Joel Corry on the Frank Clark deal - How surprising is the trade? / Did the seahawks win? / Which contract kept Clark from being a Hawk? Jon Wilner of The San Jose Mercury News on the top NFL Draft prospects coming out of the Pac-12. How do they compare with previous years? Fun with Audio - The many accents of Russell Wilson / Mike Francesa says Luck is better than Wilson / What is OPS? Bonta Hill of 95.7 The Game in San Francisco - With the pick of the litter, what will the Niners do in the draft? Bob Kemp of NBC Sports 1060 in Phoenix - Will the Cardinals ultimately take Kyler Murray as their #1 pick? 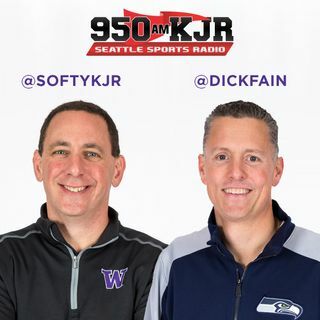 Soren Petro of 810 WHB in Kansas City - Are the Chiefs willing to give up their first-round pick for Frank Clark?